The new audio digital processor AC26N allows you to control any professional audio system, both active and passive. 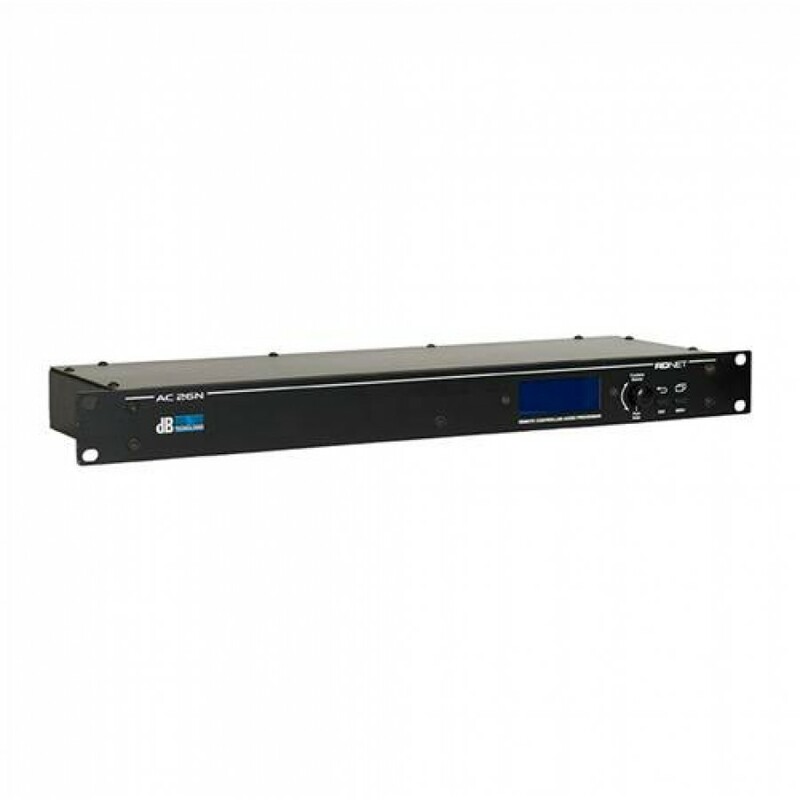 Equipped with two inputs and six outputs balanced analogically, two in/out digital AES/EBU and an RDNet control, this processor allows a perfect control in a simple and complete way. Each outputs possesses a parametric equalizer, delay, phase and level control, completely run by a powerful 28/56 Bit DSP, unique in its kind. This processors control may be directed by the front control panel or through an RDNet connected computer.